4.000 meter high peaks and abundant freeride terrain – welcome to Bernese Oberland in Switzerland. Notorious alpine legends, such as Eiger North Face, huge glaciated areas and deep blue lakes. This region will get you under your skin, word! Call LUEX travel snow expert and discuss how you can explore this region on YOUR budget, YOUR skill level and YOUR requirements. 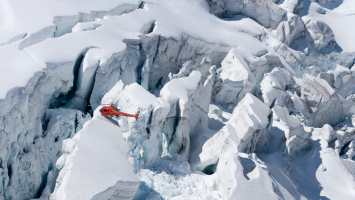 Take a day trip from your Gstaad ski holiday and enter the world of heli ski! 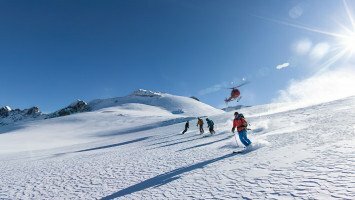 Explore the best undiscovered Alps skiing routes with a heliski trip in Muerren! Bernese Oberland is the stuff of fairy tales, a place where alpine legends were born, where quaint villages sit atop snowy peaks and skiing is a way of life. This famous place is a region of Switzerland where some of the most infamous peaks and places like in the world are located. Far below these snowy giants you’ll find green valleys and deep blue lakes that come together to create an absolutely breathtaking picture. On a ski trip in Bernese Oberland you can enjoy spectacular landscapes and incredible skiing including some of the longest descents in Europe. The Swiss region of Bernese Oberland is found in the Alps where jagged mountains reach up to the sky and several peaks exceeding 4000 meters can be found. 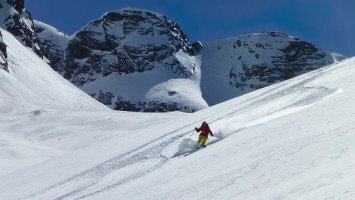 This means on a ski trip to Bernese Oberland you can enjoy some major vertical and extreme descents. Skiers and snowboarders can have their pick of terrain in this varied landscape including open slopes, steeps, tree runs, cliffs, and glacier skiing. During a trip to this almost magical region, you could have the unforgettable experience of descending one of the longest glaciers in the world to views of sparkling mountain lakes and vibrant forests and valleys below. you can feel secure because you’ll always be accompanied by professionally trained and certified mountain guides whose job is to make sure you have a safe and fun time. Our trips to Bernese Oberland are suitable for every price range and we offer budget, medium and luxury options so there is sure to be something for everyone. After a day descending Switzerland’s mighty peaks, you can kick back or “hit the town” because the options for other activities and amenities including going to the sauna, getting a massage, lounging in the pool or hot tub, or heading out to enjoy dining and other nightlife options. Some of our trips are also perfectly located for travel to other ski resorts before or after your trip. 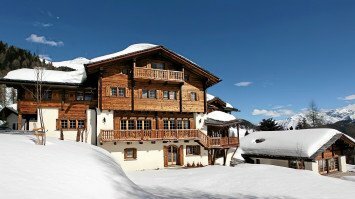 Accommodations for our ski trips in Bernese Oberland include hotel or guest house stay. 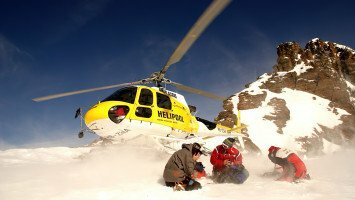 We also offer options for daytrip-only heli-skiing which might be perfect for those in the region for other travels or who are visiting other skiing destinations. You’ve probably heard of places like Grindelwald and Interlaken all your life, but a ski trip to Bernese Oberland is your chance to experience these places and other areas of the Swiss Alps on the skiing adventure of a lifetime. From steep slopes, to long descents, tree skiing, and cliff drops, this region has a little of everything skiers and snowboarders have always loved and you’ll love it too. You can live this fairy tale life, skiing from mountain top down to an alpine village with a Bernese Oberland ski trip.